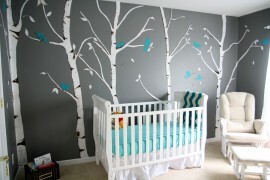 Planning for and decorating a nursery is one of those special projects that fills your heart with joy. 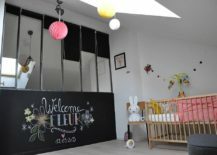 It is also a task that often leaves many expecting couples confused as they flip through the plethora of options on offer. 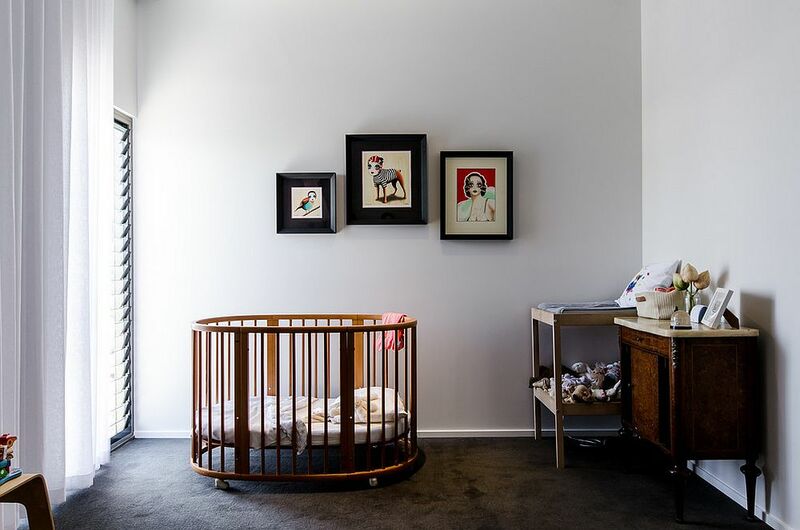 While some settle on a theme long before the arrival of their little one, others prefer to get into the finer details after their bundle of joy is home. 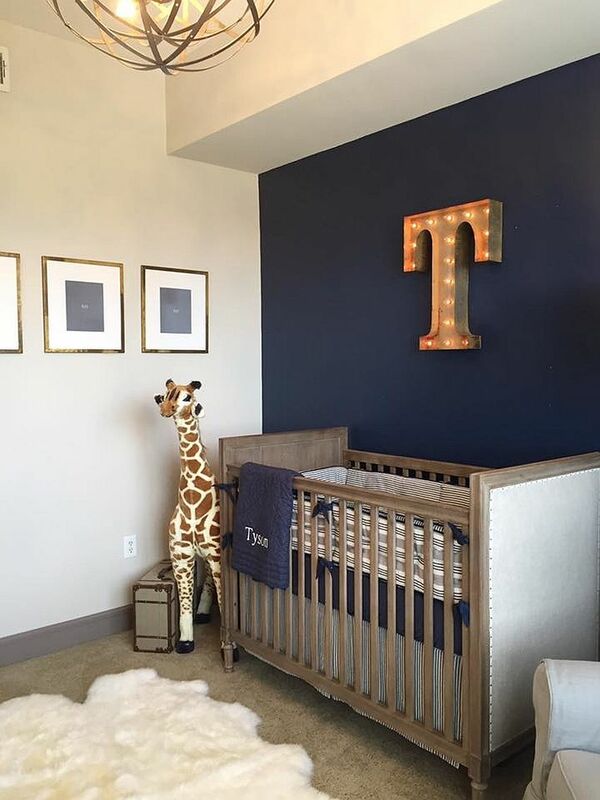 A good starting point while planning for a nursery is to choose the style of the room before you look into things like paint colors, pattern and décor. 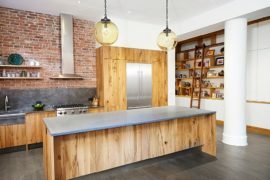 And while styles like shabby chic and nautical are pretty popular, you might want to go down a different path and consider modern industrial! 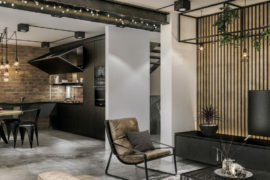 Industrial style has definitely made a huge comeback in the last few years, and it is barely a surprise that elements like metallic and oversized pendants, which have been derived from the style, are currently topping the trends chart. 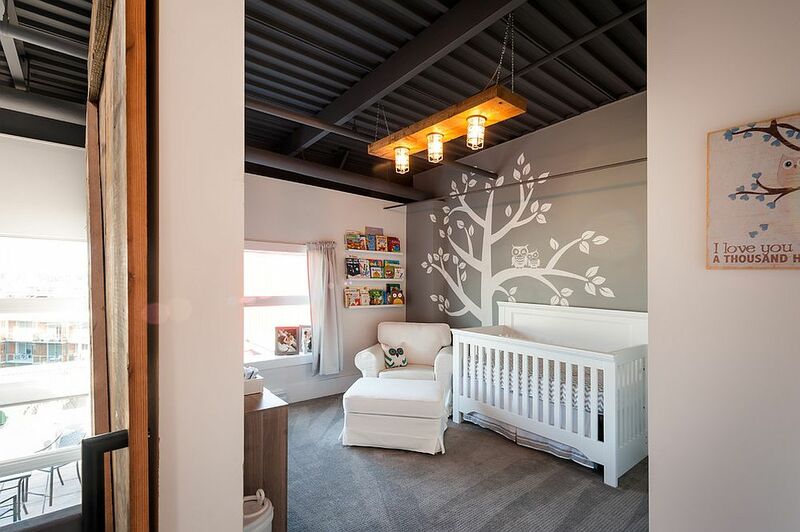 With that in mind, we decided to showcase the best and most versatile modern industrial nursery designs that combine functionality, style, and also a hint of edginess! 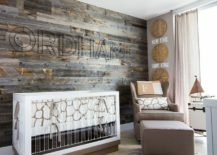 The modern industrial style is basically a blend of aesthetics and design elements from both modern and industrial styles. 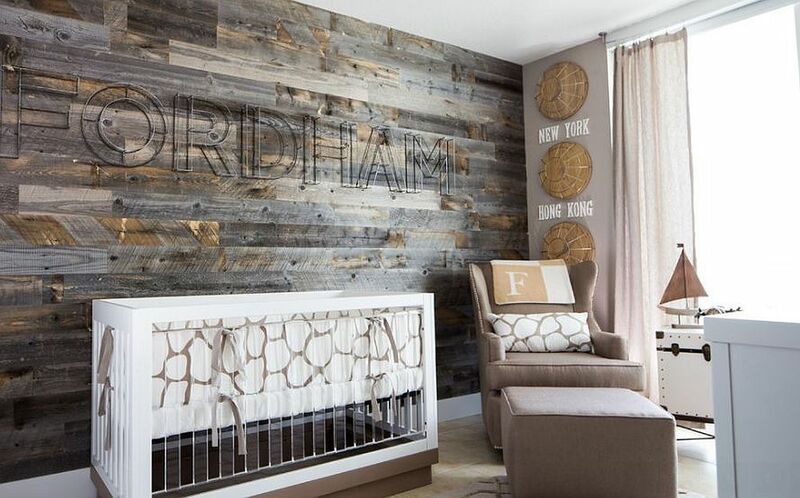 It brings the clean, elegant look of modern interiors to spaces with a raw, industrial vibe and offers the best of both worlds. 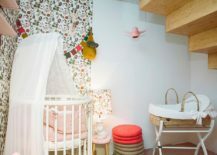 This seems like an apt combination for a gorgeous yet exceptional nursery, where you keep the ambiance as relaxing and fun as possible while ushering in a dash of quirkiness. 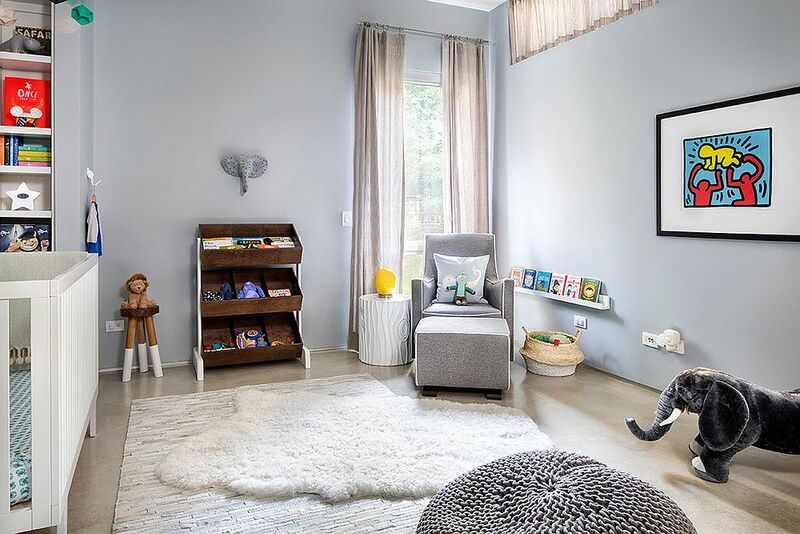 Gray and white are perfect colors for these cool nurseries, as they shape a neutral backdrop that lets other accessories and colorful additions shine through. 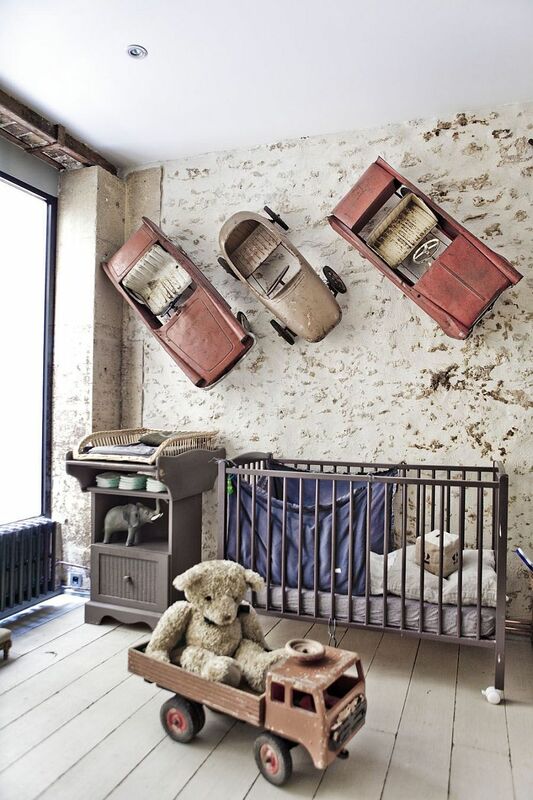 Beyond that, the two colors represent the simplicity and unassuming charm of industrial style ever so perfectly! 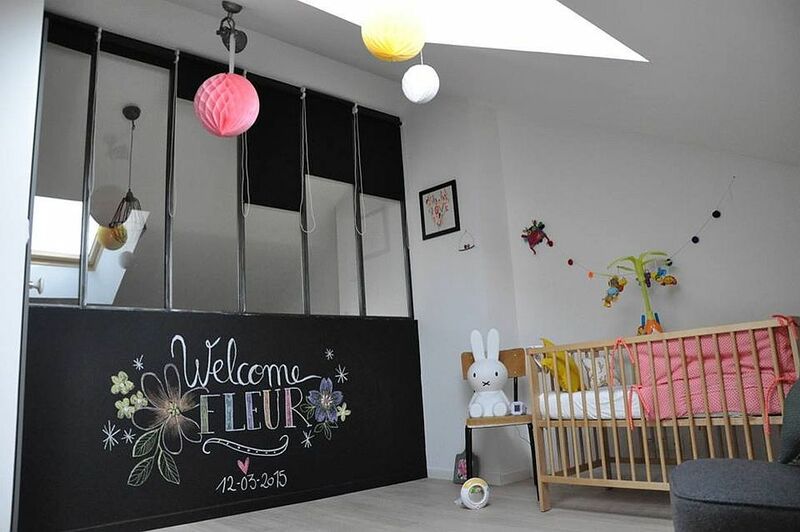 Most often, parents fall into the trap of designing nurseries for their little ones that are far too theme-specific, whimsical, and a touch too colorful. 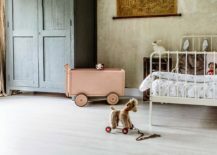 While they look great for a year or two, the pace at which kids grow up and the fact that they get bored very quickly with monotony means that this might not always be the best idea. 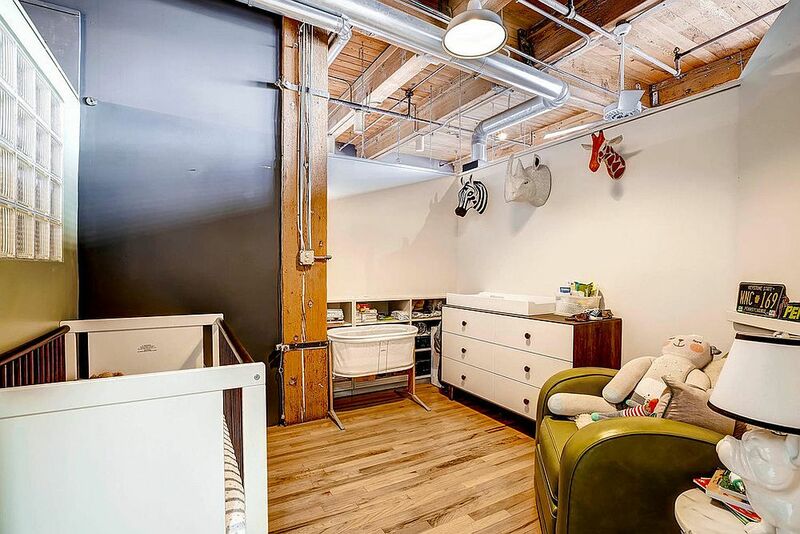 A modern industrial nursery gives you a room that can easily grow along with your little one. 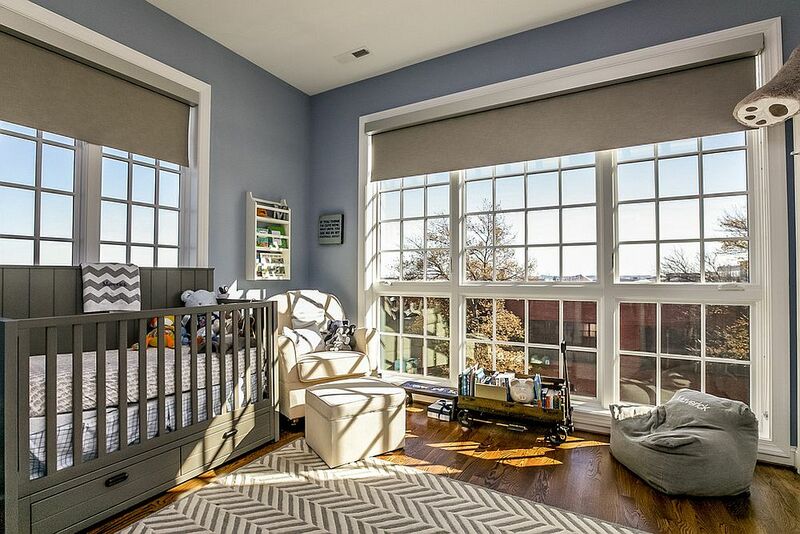 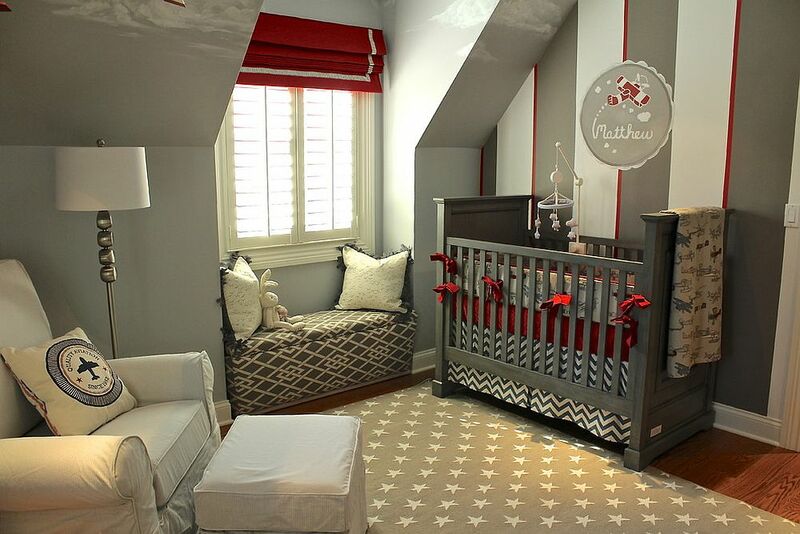 The backdrop is often neutral, with only the crib, decor and accessories adding color to the room. 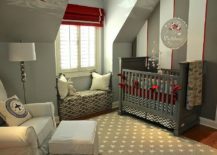 By simply changing them over time, the nursery can be easily transformed into a kids’ room, a teen room, or even an adult bedroom. 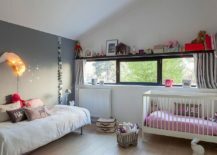 RELATED: 20 Gorgeous Pink Nursery Ideas Perfect for Your Baby Girl! 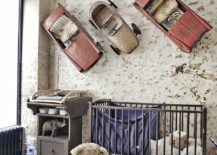 Industrial-style rooms are inherently filled with plenty of detail, textural and visual contrast, along with unique elements that set them apart from the mundane. 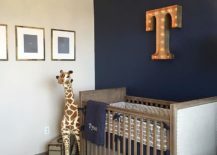 This is what makes the modern industrial nursery so very special, even if you tend to veer toward the ‘modern’ part of the equation. 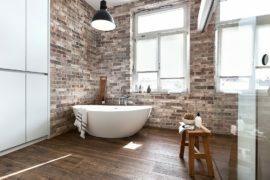 From exposed duct pipes, original brick walls, and ceilings that give the room a metallic tinge to smaller details like large windows with dark frames and bold pendant lights; there is plenty to choose from here. 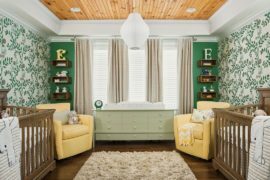 Add to this features like the striped accent wall, rugs and drapes with a chevron pattern, or colorful wallpaper or wall decals, and you have a truly brilliant and vivacious nursery. 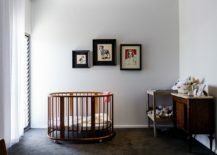 We love modern industrial style because it lets you add personal design elements, eccentric décor pieces, and even refurbished items without ever making you feel that something is just not right. 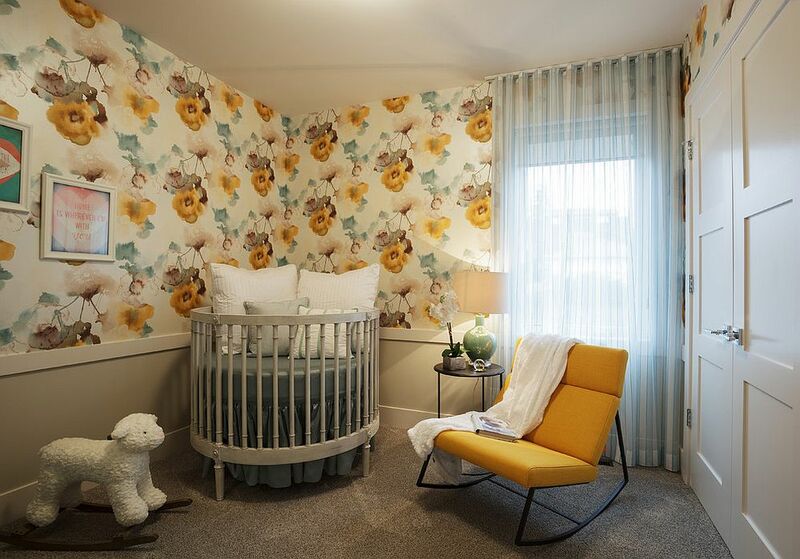 Yet the nursery remains cheerful, contemporary and pleasant, thanks to its more modern backdrop. 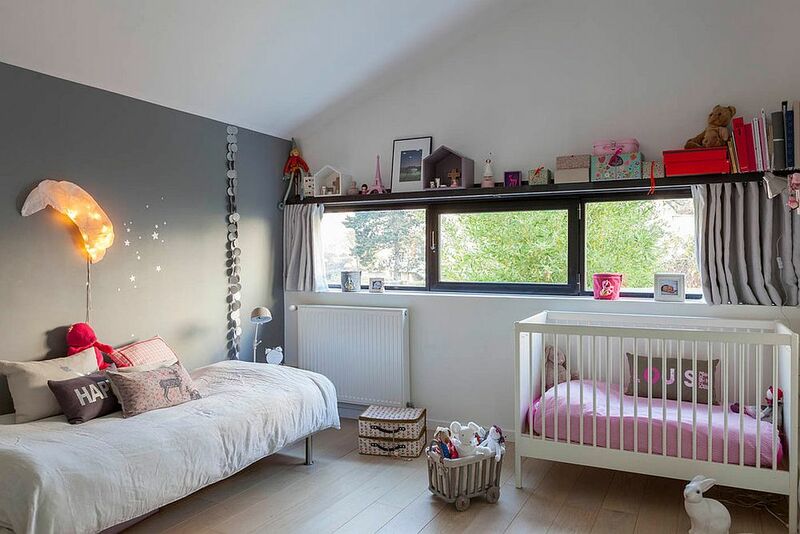 This nifty style also allows you to turn even the tiniest of rooms into a gorgeous nursery by maximizing space and placing emphasis on practicality. 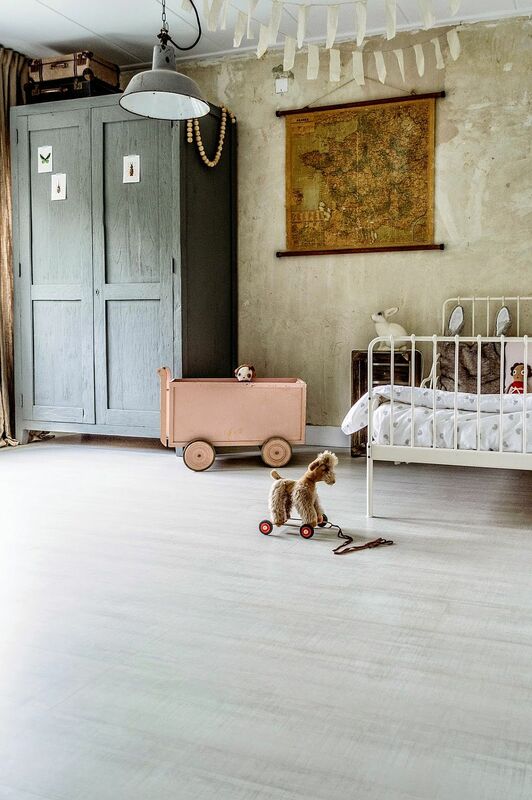 And if you ever get bored, you can always turn to other smart blends of styles, such as industrial and Scandinavian (or even industrial and shabby chic) to give the room an easy makeover.